When compared to the other two big players in the mobile app ecosystem, Apple and Google the Windows App Store lacks drastically behind. The stats are mind blowing. 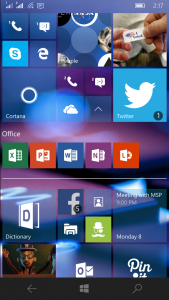 According to Microsoft by the Numbers, the number of app available are approximately 700,000. 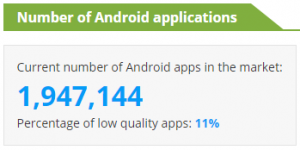 This number represents less than half the number of apps Google Play has to offer. According to AppBrain, the number of apps is: 1,947,144. So looking at those figures, I asked myself whether I’ll get all the apps I’m used too on Windows 10 for Mobile and surprisingly I wasn’t disappointed. All my daily driver apps are present or has its equivalent on the Windows App Store. Social networks apps like Facebook and Twitter are also available and are comes preinstalled on your Windows 10 Mobile powered phone. Even Instagram has its app for Windows phone but is still in public beta. However, if you are a Pinterest user like me then you are out of luck but fortunately third party substitutes do exists such as Pin.it which is great. Apps even for Tech savvy people even exists on the App store. For instance, if you are one of those people who likes to compare network speeds (ping response, latency and etc) you won’t be disappointed. 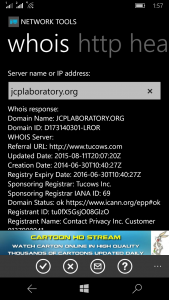 There’s this app called “Network Tools” that allows you to perform pings, whois request, nslookup and geolocalisation. Moreover, the ability to turn my phone into an FTP server is very useful to me, since I use this method to share files with my iPad. Fortunately, there’s an App called FTP Server which does just the job. That’s not all, for those who like to manage their personal servers from their phones you do even have a SSH Client App ;). 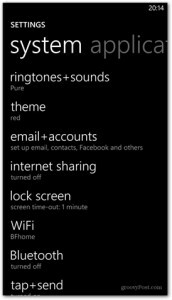 So in conclusion, yes, I’m very happy with my Windows 10 Mobile powered phone. Should you fear to switch from another platform to Windows Mobile? Based on my experience, I say no, not at all even though it’s true that the Windows platform has some restrains in terms of App availability but the performance of Windows 10 Mobile is great and very fluid even when using low or mid range devices. What I like the most with this platform in particular is its user interface. Most people I have discussed with says their main problem is with the UI. Don’t be biased anymore! The user experience and the UI has evolved if not a lot but consequently in Windows 10 Mobile compared to Windows Phone 8/8.1. 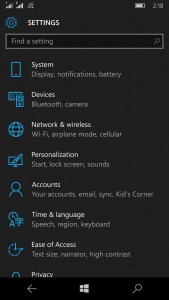 The Action Center makes it easier for you to change settings and modes such as enabling Bluetooth, Wi-Fi, Quiet Hours, Airplane mode or to quickly open programs or access features with a single swipe and tap as you would easily do with Android’s notification center. So I hope this little overview of Microsoft mobile platform clarifies or eliminate some of your fears and helps you in reconsidering or widen your chooses next time you have to buy a new phone.